2.5mm2 DC 1500V single core PV cable solar cable for photovoltaic power systems with TUV 2pfg 1169 Approved. 4.0 mm2 DC 1500V single core PV cable solar cable for photovoltaic power systems with TUV 2pfg 1169 Approved. 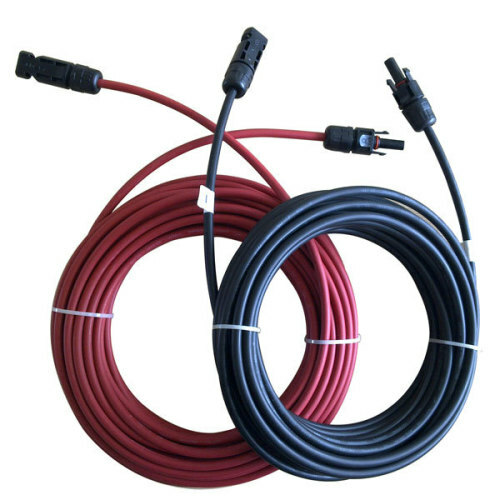 4.0 mm2 DC 1500V single core PV cable solar cable for home solar systems with TUV 2pfg 1169 Approved. 6.0 mm2 DC 1500V single core PV cable solar cable for photovoltaic power systems with TUV 2pfg 1169 Approved. 6.0 mm2 DC 1500V single core PV cable solar cable for home power systems with TUV 2pfg 1169 Approved. 10.0 mm2 DC 1000/1800V single core PV cable solar cable for photovoltaic power systems with TUV 2pfg 1169 Approved. 16.0 mm2 DC 1000/1800V single core PV cable solar cable for photovoltaic power systems with TUV 2pfg 1169 Approved. 25.0 mm2 DC 1000/1800V single core PV cable solar cable for photovoltaic power systems with TUV 2pfg 1169 Approved.